coupons2 - Plony's Auto Service Ltd. 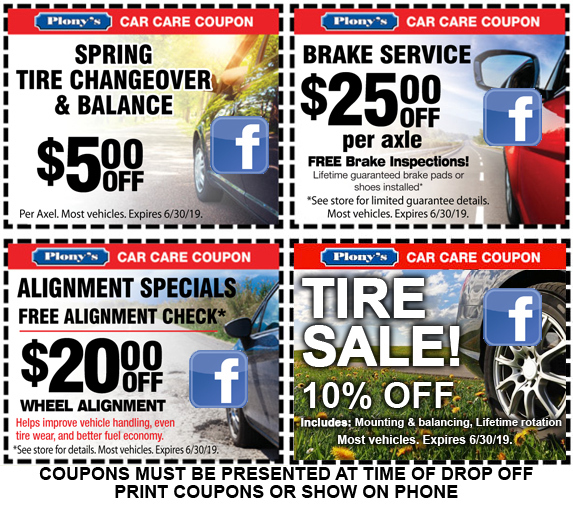 Thank you for visiting Plony's Auto on Facebook! Click here to "like" our page on Facebook and receive alerts for coupons for your next visit, or sign up to receive more coupons by email here. Click here to open printer-friendly coupons in a new window.